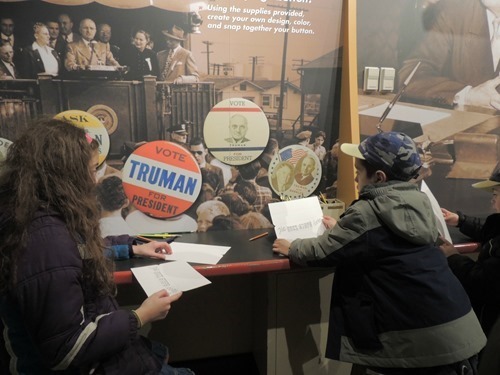 This year we decided to do something very Presidential on Presidents’ Day – we visited the Truman Library and Museum in Independence, MO. 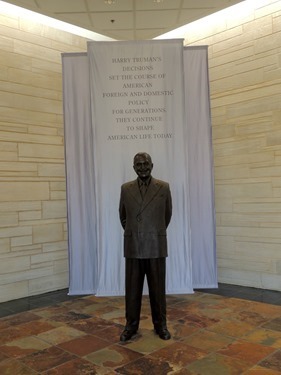 I had never been to a Presidential Library before and having one so close by is kind of cool! 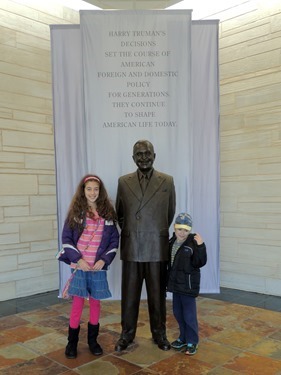 We learned a lot about Truman before he became President, during his Presidency, and afterwards. 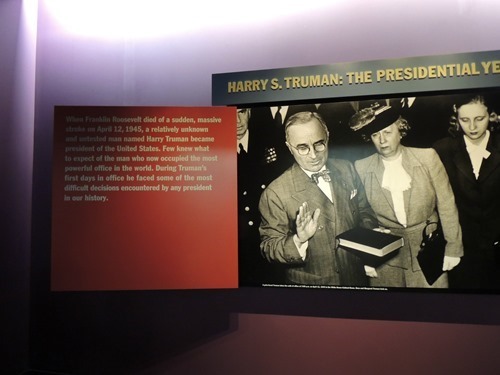 I never knew that Truman became President when VP under FDR and FDR died. 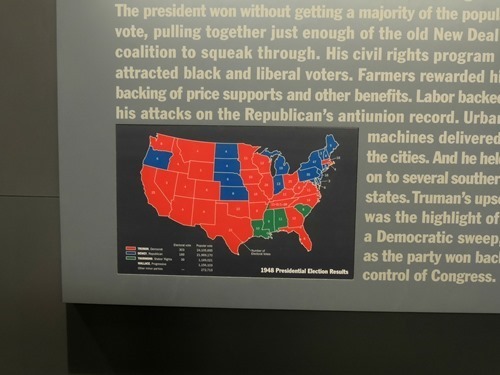 He was then elected President for a 2nd term. 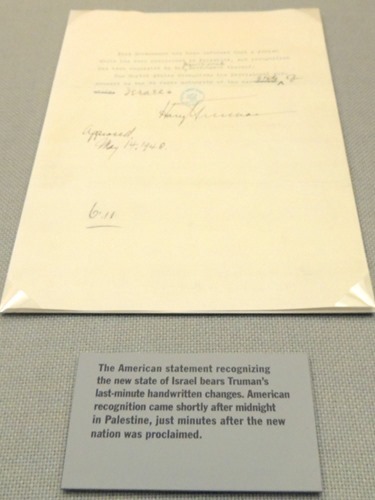 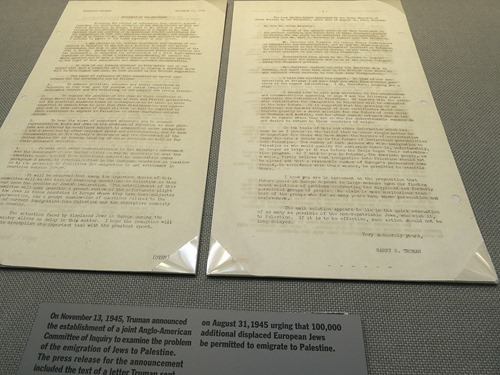 Truman recognized Israel as a country in 1948. 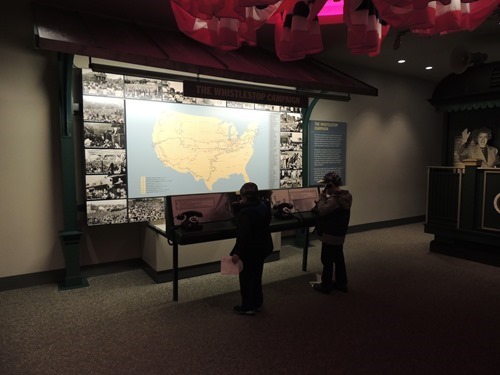 The kids enjoyed the Whistle-Stop Campaign display. 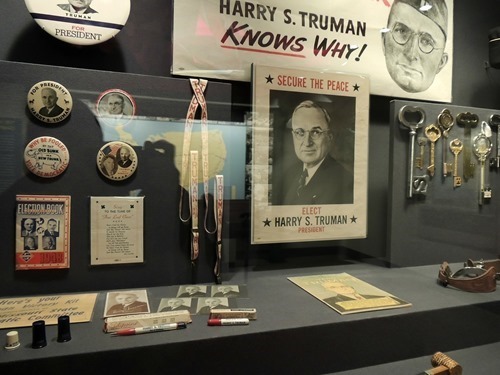 Kansas voted Republican even when Truman (a Democrat) was from the neighboring state of MO. 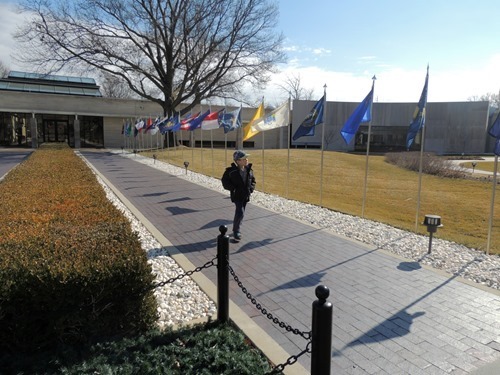 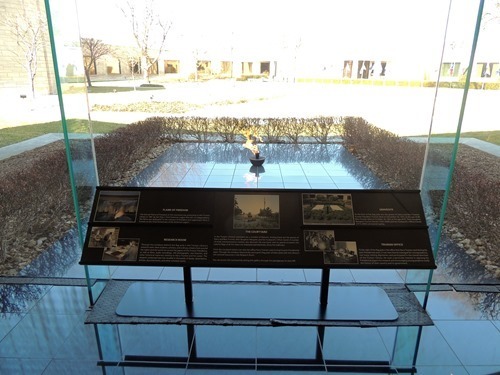 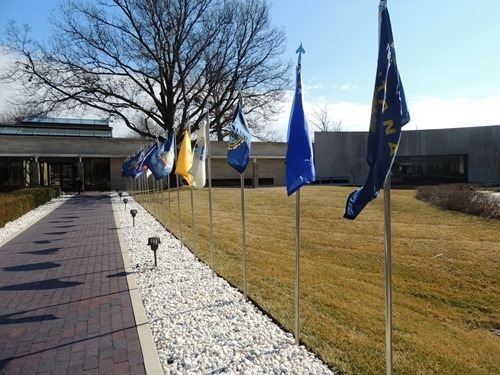 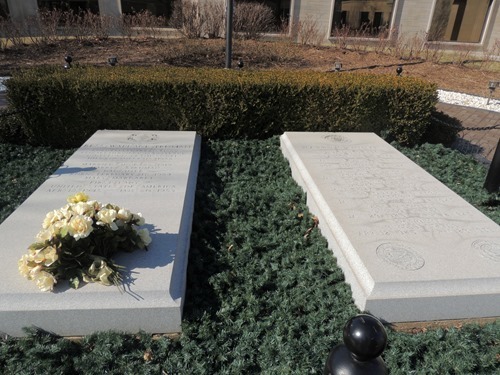 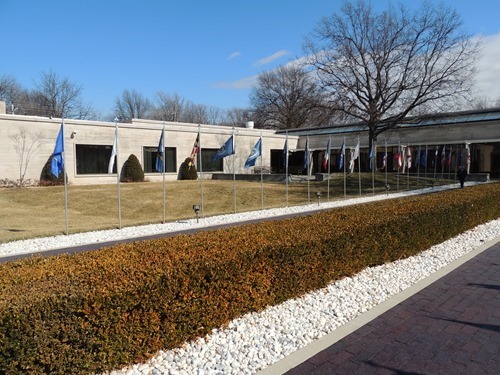 The outside area features a memorial flame and the gravesites of Truman and his wife. 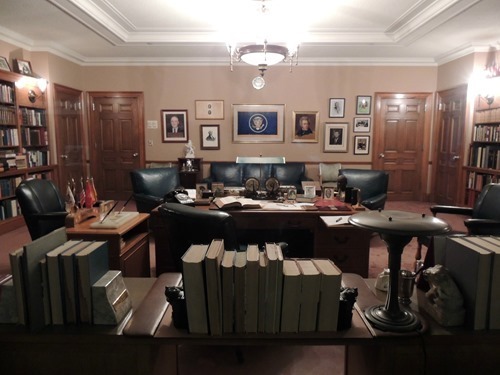 This is the office that Truman worked in at the library. 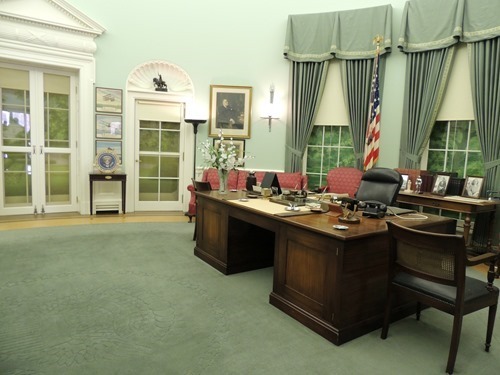 There is also an Oval Office replica showing how it looked when he was President. 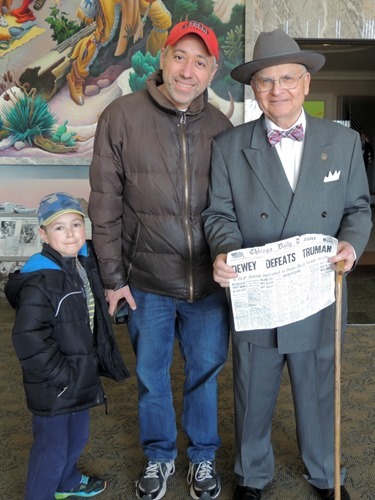 There was a Truman look alike present. 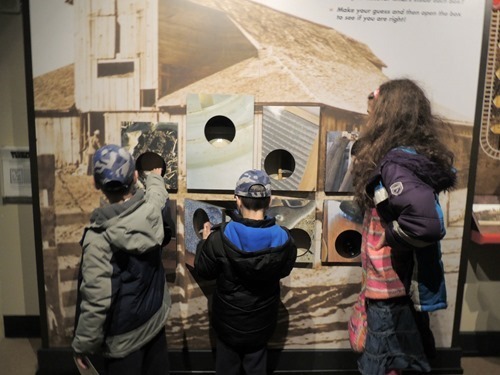 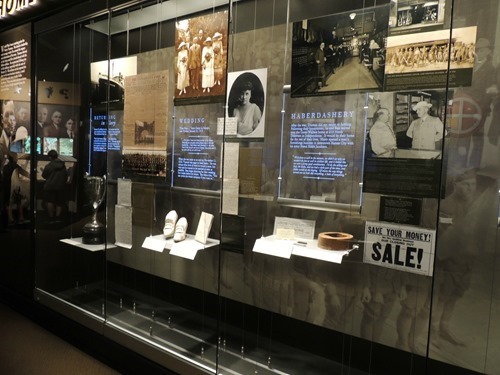 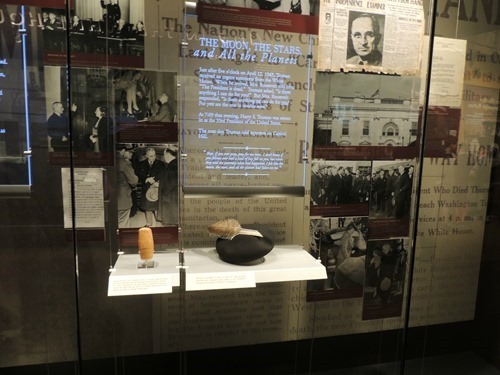 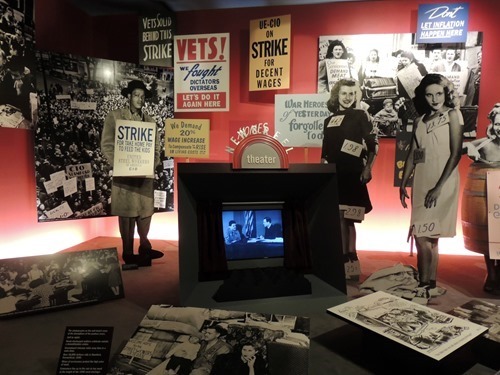 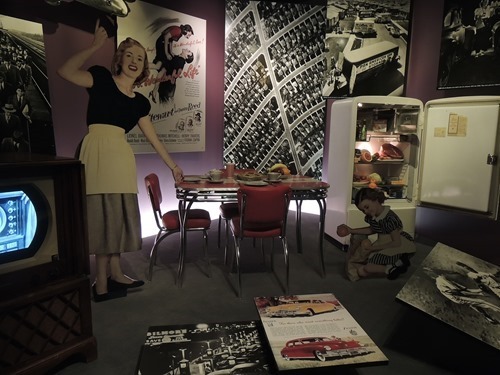 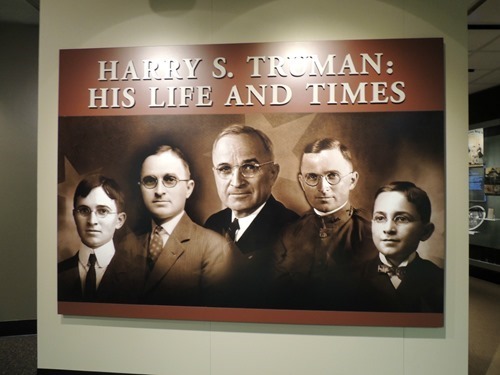 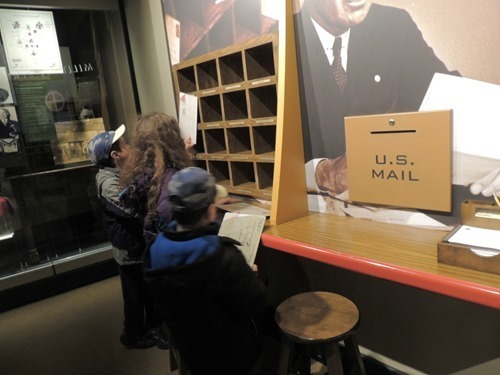 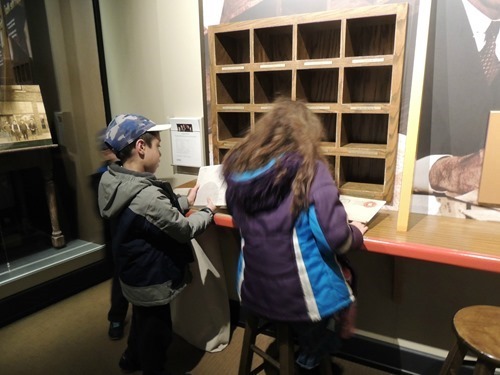 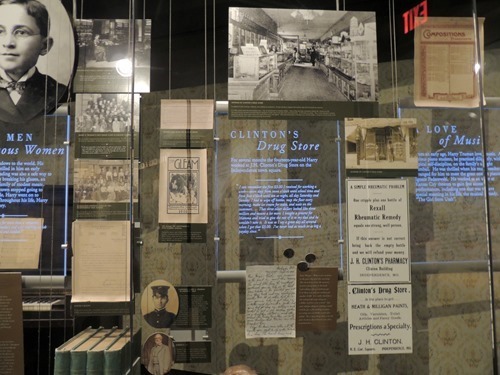 The lower level features the life and times of Truman before he became President as well as a few interactive things for the kids to do. 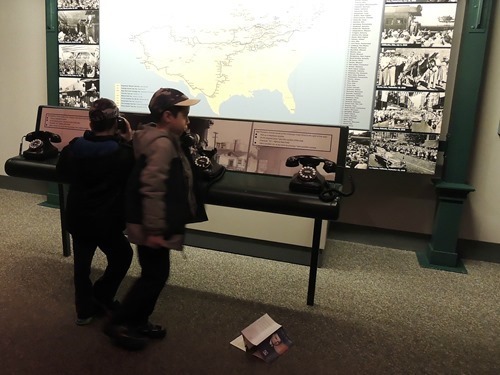 Overall, it was a good experience for us! 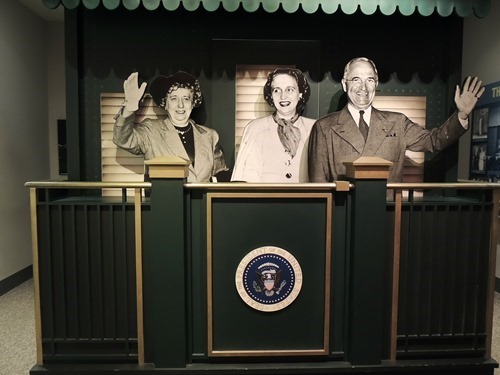 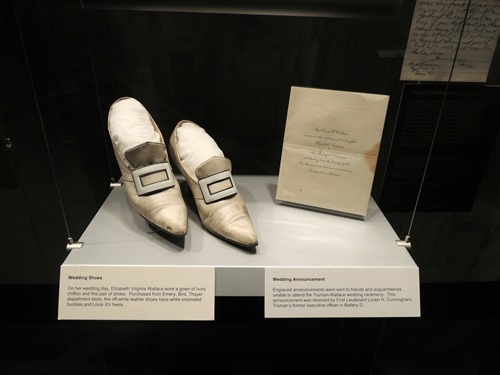 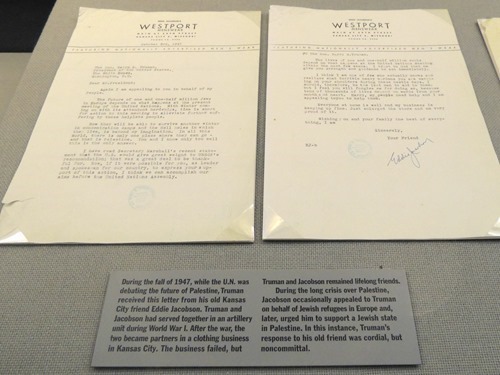 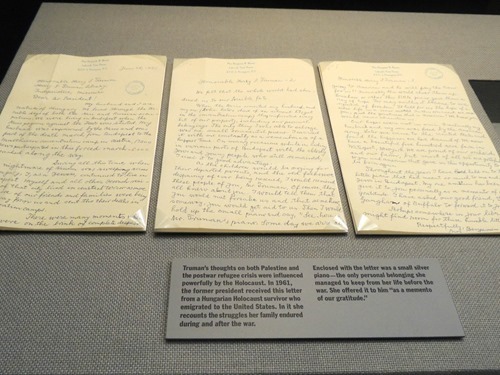 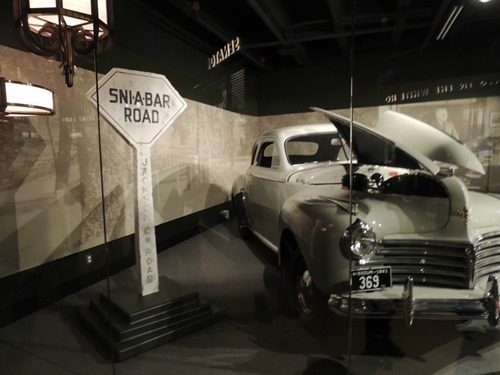 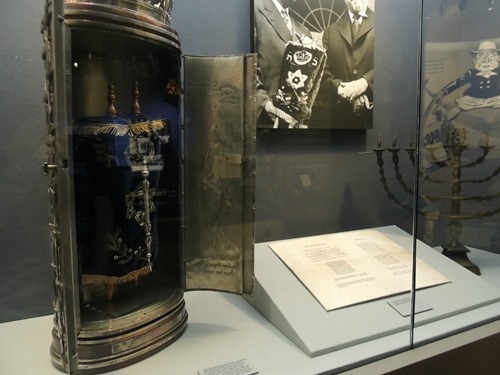 Have you ever been to a Presidential Library?